By Ed Runyan | May 12, 2018 at 12:01a.m. 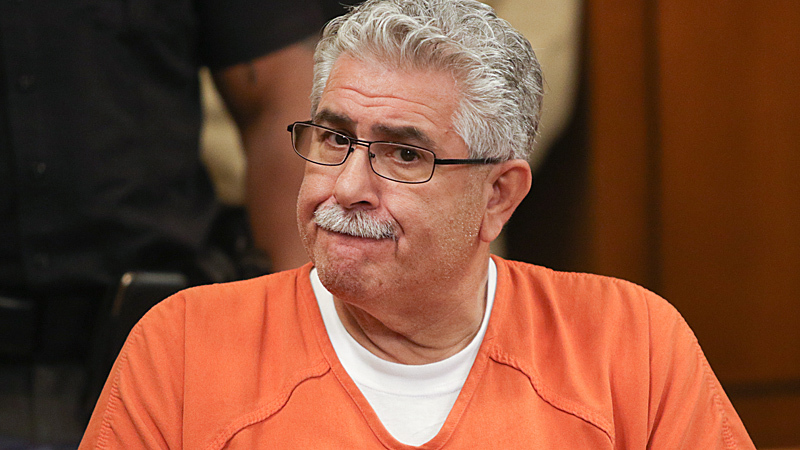 Before sentencing former Niles Mayor Ralph Infante to 10 years in prison Friday on 22 convictions, visiting Judge Patricia Cosgrove said Infante’s crimes hurt that city and “gutted” the public’s trust in its officials. But the judge said the $100,000 to $200,000 worth of cash Infante failed to report to the Ohio Ethics Commission is “income that you have siphoned off” from ITAM No. 39 bar he ran, and from gifts and football tickets. “By not reporting that income, you have hurt the city coffers that could be used for much needed improvements in your roads, buildings and much needed projects in Niles,” she said. She ordered Infante, 62, to pay restitution of $51,158 to reimburse the Ohio Attorney General’s Office and Ohio Auditor’s Office for costs of investigating the crimes for more than three years, starting in 2014. She also ordered restitution of $999 to Niles under provisions of two theft-in-office convictions that included numerous offenses, including cash that city employee Scott Shaffer got for city scrap metal at a Warren scrap yard that Infante never turned in to the city treasury. Shaffer was charged with two counts of theft in office but the charges were dismissed after Shaffer agreed to cooperate with prosecutors and investigators. Later Friday, former Niles Auditor Charles Nader was sentenced to three years probation for his use of a city computer and server system while operating his private tax-preparation business and two misdemeanor ethics charges related to him doing tax work for two vendors who did or sought to do business with the city. Nader’s charges were reduced when he pleaded guilty to the three charges and agreed to testify in the Infante trial. Nader, 64, apologized for his conduct, which came to light during the investigation of Infante. Nader could still go to prison for 11 months and to county jail for six months if he violates the terms of his probation, including paying a $2,500 fine and performing 200 hours of community service. The last of the three defendants is Judy Infante, wife of the former mayor, who will be sentenced at 1 p.m. Tuesday. A jury on Monday convicted Ralph Infante after an 11-day trial in Trumbull County Common Pleas Court of engaging in a pattern of corrupt activity, 13 counts of tampering with records, one of having an unlawful interest in a public contract, two of theft in office, four of gambling and one of falsification. Infante made a brief apology before sentencing, but the judge asked him a few questions, such as why he lied to investigators who came to him in 2015 after he had made earlier admissions in a 2009 secretly recorded interview with an FBI agent. On the first recording, he admitted he and his wife had gotten free tickets from Eastwood Mall executives Anthony Cafaro Sr. or Anthony Cafaro Jr. to the 2007 NCAA Championship football game valued at about $7,500 and had not reported them on ethics disclosure forms. “Well, your honor, I would have to say the first time the gentleman came to my office, I couldn’t remember ... and then he came back six years later on surprise and caught me off guard. I had no legal counsel,” Infante said. Though the theft in office conviction only requires jurors to agree that one of the offenses occurred, prosecutors believe they proved all of them, including allowing Shaffer to use a city truck for non-city business and allowing the baseball field at the Eastwood Mall to get $60,000 worth of free water. The Ohio Auditor’s office conducted a raid at the mayor’s office at city hall in October 2014, a short time after that office declared Niles to be in fiscal emergency because of large fund deficits, including $2.7 million in the water fund. Forensic accountants and investigators with the state found that about $100,000 in cash deposits from 2007 to 2014 from Ralph and Judy Infante’s bank accounts could not be accounted for except having come from gambling and other improper sources. The figure was around $200,000 in the original indictment, but investigators lowered it after Michelle Sudzina, Infante’s stepdaughter, said she and her husband had given the Infantes about $90,000 as their share of the mortgage payment and other housing costs for the home the Sudzinas and Infantes shared on North Rhodes Avenue in Niles. May 7, 2018 5:12 p.m.
Infante case wraps up with sentencing today, but will restitution be paid? May 11, 2018 9:54 a.m.
May 11, 2018 12:08 a.m.
March 8, 2018 12:05 a.m.